We are a grassroots, nonprofit organization using education as a primary tool to break the cycle of extreme poverty in Malawi, Africa. We are registered in Malawi and in the United States as a 501(c)(3) tax-deductible organization. 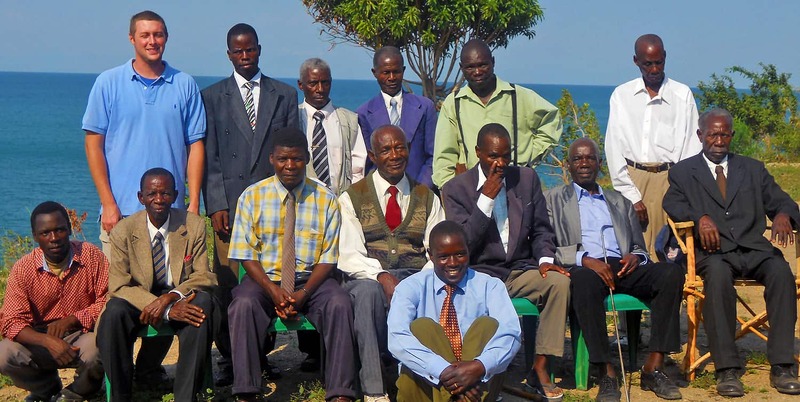 Our founder, Matt Maroon, was inspired to assist in development initiatives like those in which he had been a part of during his two years volunteering in Malawi from 2006 to 2008. In 2009, after finishing his graduate degree, Matt moved to Chilumba in Malawi’s Northern Region, where he began laying the foundations for what would soon become Determined to Develop (D2D). Matt and a small team consisting of three former students, Geoff Mzembe, Frank Kasanda, and Ken Mwakalenga, and former colleague, Lupashiko Mulenga, spent their first year building the infrastructure needed for the project. At the same time, they held meetings with chiefs, village development committees, women’s groups, civil society leaders, government stakeholders, and even the kings of tribes to discuss shared goals for development. These meetings established education, women’s empowerment, environment, and health as the area’s top development priorities and solidified our strong partnership with the community. Sponsored over 1,500 students through school. Established 4 nursery schools, including the building of infrastructure, training of teachers, and curriculum development. Fed over 2.5 million nutritious meals to youth in school feeding initiatives. Constructed sanitary kitchens, school blocks, compost toilets for local schools and electrified an entire school campus. Installed a water system for a nearby hospital which serves over 30,000 people. Helped establish 4 women-run businesses that are still operating to this day. Distributed of over 33,000 trees to be planted in the community. As our organization grew, staff members were added to the team and programming expanded. Although progress was being made in each of the development sectors, (see D2D Think for more information) it was our educational programming that was having the most significant impact. Meanwhile, meetings with community stakeholders and a thorough needs assessment concluded that education was the top development priority for the region. In 2017, we received support from our Board of Directors to transition to an organization rooted in education. Other projects were either phased out or taken up by other organizations. Feed the Children took over the primary school feeding initiative, for example, and the women-run business groups took complete ownership of their operations. This allowed us to focus our programs on youth education.